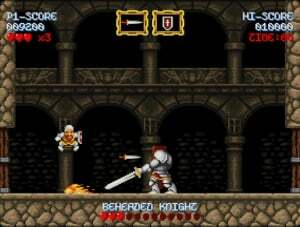 For a series which takes an almost sadistic delight in frustrating those who play it, Capcom's Ghosts 'n Goblins garners a surprising amount of adoration from gamers - but the company doesn't seem particularly interested in resurrecting Sir Arthur for any new adventures, so thank goodness we have games like Cursed Castilla EX to tide us over. Originally released in 2012 under the title Maldita Castilla ("Maldita" translates as "cursed" or "damned"), the game is largely the work of just one man, Spanish coder Juan Antonio Becerra - better known by the pseudonym Locomalito. Locomalito has published many other titles via his personal site and has distributed them free of charge on PC, Android and even Ouya. 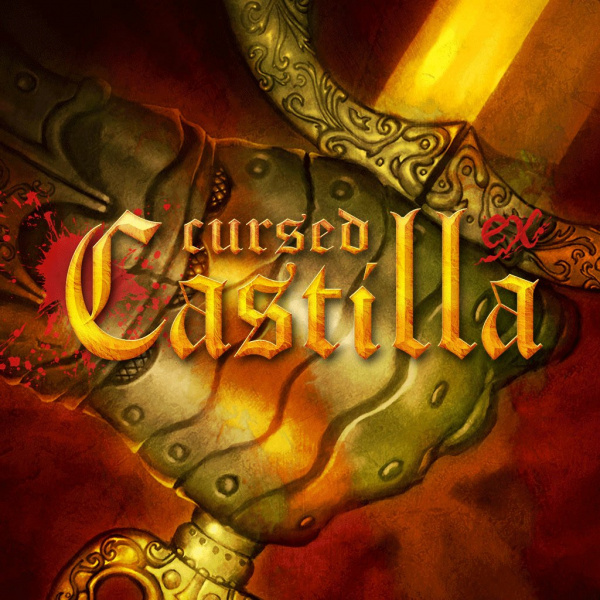 Cursed Castilla EX isn't free, but the game's quality - when combined with the thoughtful enhancements made for this 3DS release by publisher Abylight - more than justifies the cost. Inspired by sixteenth-century Spanish literary classic Amadis of Gaul and set in the historical Kingdom of Castile, the game feels very much like a spiritual successor to Capcom's arcade classic. Our hero Don Ramiro is a close match for Arthur, and can hurl projectile weapons at his foes (although getting hit merely knocks off one of his three hearts - you don't get to see him running around in his underwear in this title). It's possible to throw weapons in the four main directions of the compass, so you can hit enemies above you and hurl them downwards when jumping. At various points you're given the opportunity to pick up another weapon, with each variant coming with its own inherent strengths and weaknesses. The default sword is your basic projectile and shoots directly forwards, while weaker daggers fan out in groups of three, allowing you to hit targets above and below you. Axes are powerful and are chucked in an arc, as is Holy Fire. Experimenting with these and other weapons is key, and unlike Ghosts 'n Goblins you aren't saddled with unwanted pick-ups - the weapon icon cycles through all of the available options so you can always get the one you desire. In additional to his main weapons, Don Ramiro can also call upon special sub-items to make his quest to liberate Castile that little bit easier. 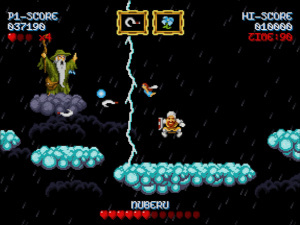 Blue Fairies orbit our hero and lend assistance by throwing glowing orbs at enemies, while the winged boots allow Don Ramiro to jump twice in the air - a neat trick borrowed from Super Ghouls 'n Ghosts. The shield means you can withstand an additional hit, while a special potion grants temporary invincibility. 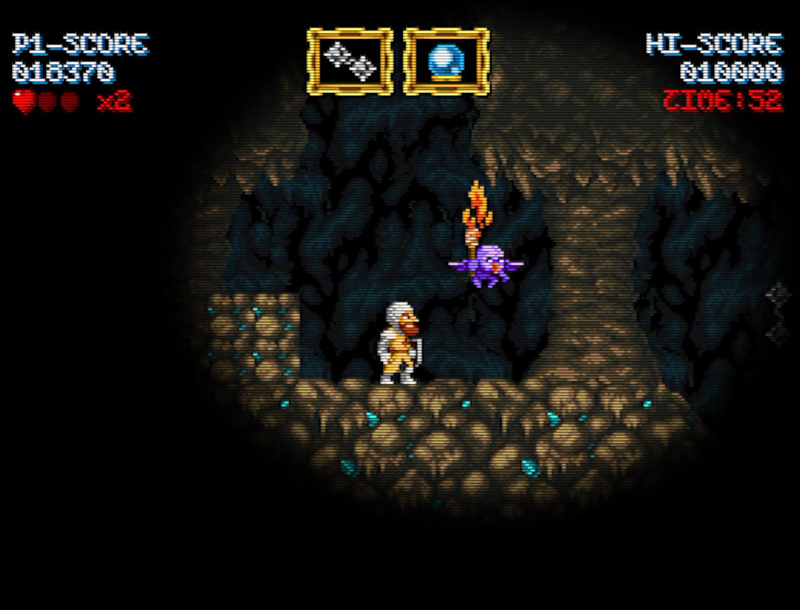 These pick-ups are extremely useful on Cursed Castilla EX's trickier levels, but there are other items - such as keys - which grant access to bonus items that are tracked using the game's achievement system. You can also collect coins and valuable items to boost your score. When you consider that Cursed Castilla EX has been created by a single person, it ranks as a truly remarkable feat from a gameplay and artistic perspective. The visuals are wonderful, with some great sprite work and memorable levels which benefit greatly from the 3DS' autostereoscopic display. In fact, we'd go as far as to say that even if you've played the game on your PC or Android device, it's worth paying for on 3DS simply to see how well the glasses-free 3D effects hold up. 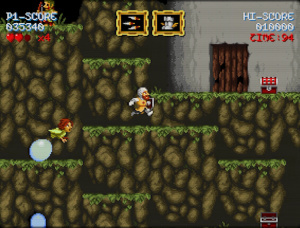 The action is presented in an arcade cabinet, with the upper screen looking slightly recessed, as if it's a monitor behind a plate of glass. The lower 3DS display shows the bottom half of the cabinet, complete with a working hatch which can be opened via the touchscreen to toggle the machine's DIP switches, altering the video mode and changing controls. The music is supplied by Javier Garcia, a chiptune musician who is better known by the name of Gryzor87. A perfect fit for the faux-retro visuals of the game itself, the soundtrack is as authentic as they come and manages to get the pulse racing in the same way that classic coin-op tunes did in the '80s and '90s. The opening level's theme is especially infectious, while stage three's track is strident and urgent, pushing Don Ramiro forward through a sinister and monster-infested fortress. 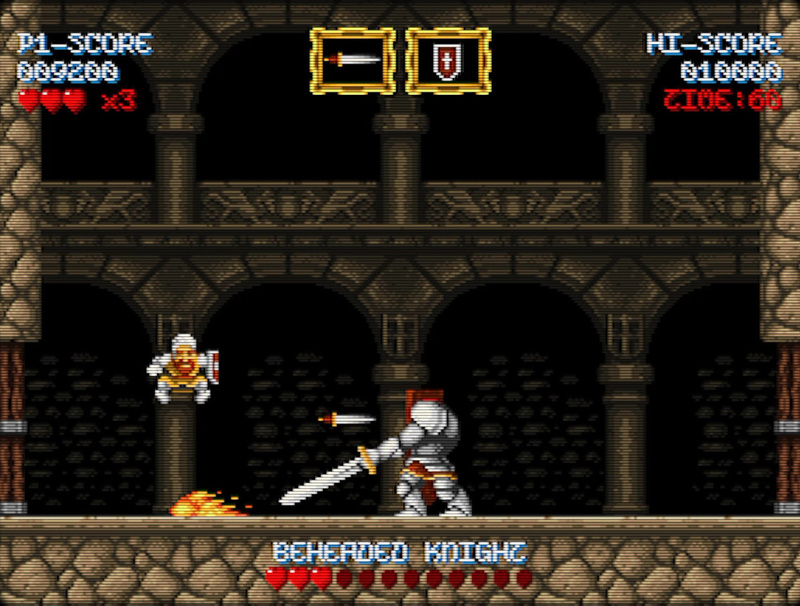 Like Ghosts 'n Goblins, Cursed Castilla EX is often brutal, but never unfair. The three-hit health system might seem like a concession but the game is arguably tougher than Capcom's series in places; enemy patterns have to be studied and weapons used sensibly to ensure survival. Unlimited continues soften the blow but once you've used a certain number the game chides you for progressing, stating that your "soul" is at stake. The message is clear; to master Cursed Castilla EX you need to raise your game and play it repeatedly until your skills are so advanced that you can best each level without losing a life. The game's achievement system and focus on high scores (your score resets if you continue) give it considerable longevity, but only if you're a player who finds score-based play to be entertaining. A speedrun option is also included for players who wish to test their mettle in that regard; only experts need apply as merely getting to the end of the game will be taxing enough for most players. If you're still concerned about how long Cursed Castilla EX's appeal will last, it might also be worth taking into consideration that four different endings are available depending on your performance. 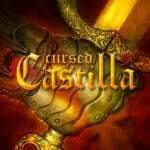 Cursed Castilla EX is a punishing but ultimately rewarding love letter to the classic action platformers of the coin-op industry's golden years, and while its brutal nature may prove off-putting for some players, those who appreciate the '80s and '90s era of gaming will find plenty to enjoy here. The original game was strong enough to be sold on its own merits but this 3DS port is augmented with some tasteful autostereoscopic 3D effects, and the fact that it takes the quest on the road makes it even more appealing. If you've yet to sample Locomalito's excellent title on other formats then this is arguably the best way to do it; should you already consider yourself to be a fan then it's still worth a look, purely for those lush visuals and the tantalising prospect of portability. I love the look of this. If it was coming to Switch it would be a day one purchase. I agree with the above, I'd pick it up if it was on Switch. Awesome, Capcom can go die in a ditch now. Awesome. I was really hoping this would be a good game. 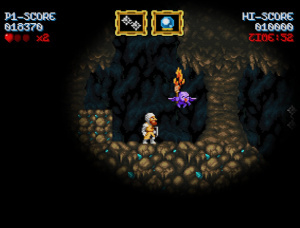 Seriously, Locomalito makes great games. It's a little bit sad that whereas they were once all entirely free for the world to enjoy and gain happiness from, they now have the barrier of money applied to them. But, such is the way of our supposedly "civilized" and modern world: Capitalism destroys everything pure in the end. Regardless, I'd genuinely recommend giving them a go either way. @impurekind To be fair, this 3DS version really benefits from the 3D effects and if it was between having this enhanced version for a price or not having it at all, I'd rather pay. @Damo Yeah, I'd actually love to see the stereoscopic 3D on the 3DS version. I don't own a 3DS but there's so many cool games I want to play and see how the 3D looks. So far I've only see a few games on my bros' 3DS and I liked it--at least once we got the New 3DS models. This and "Super Hydorah" can't come to the Switch fast enough. I am really happy Locomalito's games will now get the exposure they deserve within the console audience! Exchanging goods and services using a money system is not some negative effect of capitalism, it's a replacement for barter which is impossible to scale. Capitalism is about a goal of profit and is a guiding system for government and/or industry, etc. When someone works hard to create something that brings you happiness and would also like to survive, it's pretty awful of the recipient of that something to expect that no exchange is necessary. Yet, that has become a growing expectation in many because work is being supported in obfuscated manner: free with ads, for instance, or the producer is being supported by parents/friends/government for various reasons (it's a passion project! I'm helping my country!). That's a bigger systemic problem because the people who want the service or product and the person making it are separated by a group that has ulterior motives like "buy my totally unrelated product", "I'm keeping my family member from being depressed", "I'm trying to attract business or attention to my country", etc. Payment directly to the person making what you want is the purest way to make an exchange but, in general, consumers have been conditioned to pay any way but that or, you know, just to selfishly take with no compensation at all (in that case, the supporting hidden group can become other consumers who have to pay at a higher price). By the way, I'm not talking about services that are necessary to survive that citizen-supported governments might provide in a humane manner. That becomes more complicated because of human decency and compassion. I'm just talking about entertainment here: a want, not a need. Games like this make the 3DS my favorite system I love the 3D effect AND completely agree it's the best way to play this type of title. The depth the 3D effect gives the games graphics is awesome. Long live the 3DS or HOPEFULLY Nintendo gives us a proper 3D handheld upgrade when the time comes. Amen bother. Death to Crapcom! A great game that's worth every penny in its price tag. The addition of 3D makes it the definitive version, so it's better than a hypothetical Switch port. @Damo That's it, I'm sold. Downloading soon. Lay off capitalism, stop preaching utter nonsense. This game looks awesome. 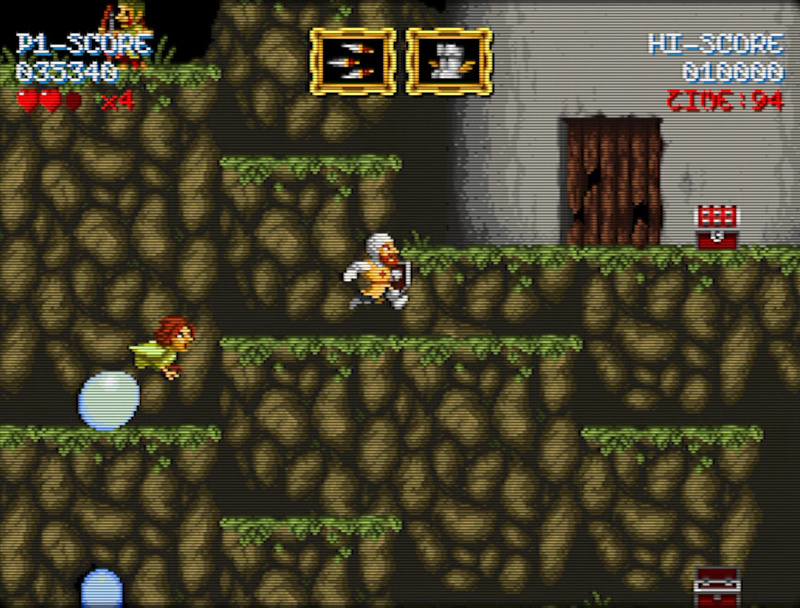 Ghost n Goblins is an all time classic and it's superb to see a one man team recreate its magic so darn well. Downloading it tonight! Congrats to Locomalito! I've been following his games for some years now. Designed to look, sound and (mostly) play like an 80s arcade game, this is a paean to the power of the aesthetic. I have this on Steam, and it really is jolly good. For those griping about it being available for free, this has two new levels, achievements and more. Hope this comes to the Switch soon. The 3D effect is pretty poor. It's a filter and not properly tuned for the 2D graphics. Compare this to Shovel Knight which uses 3D extremely well, Castilla looks like garbage in 3D. The reason for this is that the filter confuses what should be in foreground and background. You'll often seen the ground under your feet shift to the background and back into the foreground etc. It's all a bit fuzzy. Again, Shovel Knight had very clear separation of planes in it's 3D effect which looked amazing. Castilla butchered the 3D effect and it's clear to me the Devs didn't spend any time doing it correctly. @Damo I'm very excited by the positive review. 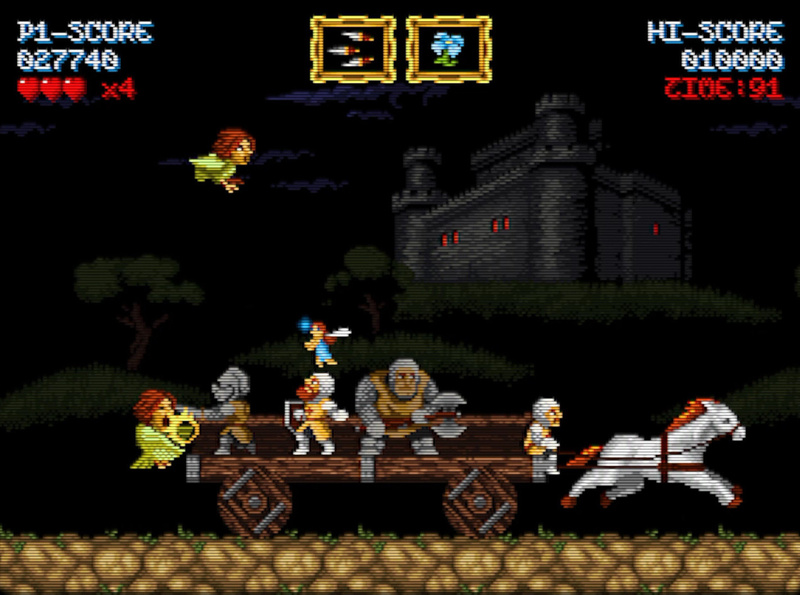 The Ghosts n' Goblins arcade cabinet was maybe my favorite game as a child. Although I beat it on the original NES, my recent play-throughs of GnG and SGnG on the 3DS involved heavy abuse of save states. How punishing are the continues in terms of progress-lost? Yeah, so annoying that it is not on the Switch yet. It looks just like a random old-school 16-bit game, I love it! Very nice. Would probably add it to my Switch given the chance. Nice breakdown of the systems designed to actually give people (and game devs) a fair stake at life. Game devs can't be human! They work too hard! Love the retro look but it would be nice if they port it over to Switch. And add an easy mode to it I find these games hard yet fun at the same time. @hdthroh You simply lose your score when you continue and it places you right back at the last "checkpoint". It's possible to exit the game and pick up from the start of the level you died on, too. Didn't it say there was an exclusive coin op mode, what is that all about? @aaronsullivan Thank you for that response. Looks good but i wont be buying it on 3ds. Switch would be a day 1 buy, because right now the eshop needs quality titles not more of the same neo geo beatemup and rubbish indie games. This is my type of game. The 3ds library continues to impress. This should tide me over until Metroid. Totally forgot about this game. A definite pick up. I really want to pick this up, but I would really like a Switch version so I can use that Hori RAP that's coming out soon. Maybe I'll just double dip. @ogo79 Thinks are looking very good on that front. I will get it for the Switch too if available. If not I will try to remember to get it on 3DS eventually. @aaronsullivan @Agent721 If you've not played Mother 3 I'd recommend it. This is a great platforming game, as challenging as Rayman Origins and some difficult stages of Mario Maker. The 3D really adds to the experience, the effect is similar to Namco's Pacman and Galaga dimensions: an arcade 3d effect. @Romeo-75 3DTV is going to make a comeback soon, they have found a way to make glasses-free 3DTV in 4K. I bet you, a lot of home console games will be 3d in the future. @Alcovitch what the hell are you talking about? The 3D for this game is really good and is used quite similarly with that on Shovel Knight. This is PERFECT on 3DS. It's really good. @MarinaKat it's presented like an arcade game. You are given 4 coins as credit at the start of the game, and when once the 4 credits are gone, you get to continue the game with "your soul" as credits. Basically, there is unlimited continues on this game, but each time you continue, your score resets. Also, you can open the arcade cabinet (on the touchscreen) to change the display ratio and whether to show the clock for speedrunning or not. There is nothing much to it but it looks cool. Sorry no. The effect is clearly a filter. Its not native separation. How do I know this? The game confuses where thr foreground is and it causes it to be blurry and unfocused. If you think this game and Shovel Knight have the same quality of 3D then youre blind. @Alcovitch I said similar, not the same. It's on 3DS, it's in 3D, it looks good, and plays good. I'm ok with that. Its not similar. Its night and day difference. @Alcovitch say you. That's your opinion. Too bad you don't like the game. Its a fact, not an opinion. I never said I didnt like the game. I said their implimentation of 3D is poor.